Ever tried a red shampoo before? 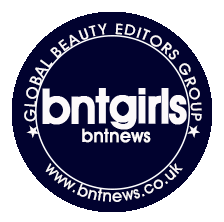 Well I haven't, so this has been an exciting product review for me since some of the other BNTGirls have reviewed it and sang praises. Time for me to try this out! Pretty, red packaging with flower design made me look forward to trying this out! The Ja Dam Hwa The First Shampoo is made of white ginseng and ginger (Oriental medicine inspired), crinium lily extract for energy and strength, silk extracts from golden cocoons to protect and firm the hair and make it shine, green tea, chamomile, sage, Calendula and henna to moisturize and revitalize the hair. With these ingredients, it's claims to cleanse the scalp, repair hair, nourish and revitalize the scalp and the hair. This shampoo lathers well and has a powdery floral scent. The scalp feels pretty clean during shampooing but I find that I like the Daeng Gi Meori Oriental SPECIAL Shampoo better than the Ja Dam Hwa The First Shampoo. I don't find the Ja Dam Hwa The First Shampoo special nor have I seen any difference in my hair after using this for awhile unlike the Oriental SPECIAL Shampoo which made my scalp feel extremely clean and my hair really soft. Of course, for fairness sake, I used the L'Oreal Total Extreme Hair Repair Conditioner with this shampoo as I did with the Oriental SPECIAL Shampoo. And I still have to put it out there that the Oriental one is way better than this red shampoo. My hair wasn't as soft and as moisturized as when I was using the other shampoo. The Oriental SPECIAL Shampoo and the L'Oreal conditioner I still the best shampoo and conditioner pair I have ever tried so far where it made my hair significantly cleaner, softer, moisturized and even grow faster. I don't hate it nor do I love it. It's just an ordinary shampoo. It does the job of cleansing the scalp and the hair. It removes oils and dirt. It is a good daily shampoo but for me, it is not a fave nor a Holy Grail product. As much as I was very excited to try this product, thjs turned out into a blah in an instant. When it comes to shampoos though, as long as it does the cleansing job and does not irritate my scalp, I will continue to use it until the bottle is empty and move on to the next one.